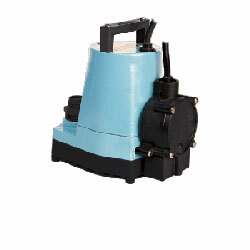 For residential and light commercial use, the Model 6 Series sump pumps provide efficient and reliable service. For extended or continuous use in moving large volumes of water, these pumps feature a 1-1/2″ discharge with a maximum lift of 18′, a polycarbonate cover and a polypropylene volute/base. A choice of manual or automatic versions with various switch configurations provides user with the right pump for their needs.